Fits well on the Big Max cart bag. Could use a bit larger towel. Nice and soft easy to manage. 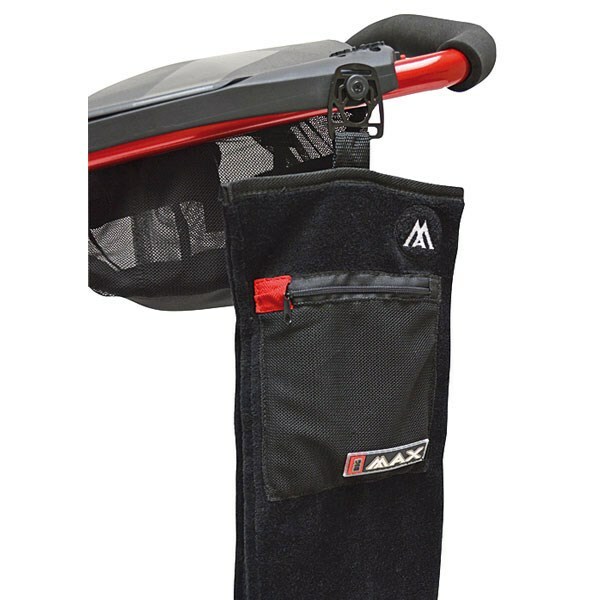 Love the way you can hook it onto the side of the trolley or use the carabineer to hook else where such as on your umbrella if its raining to keep it dry. 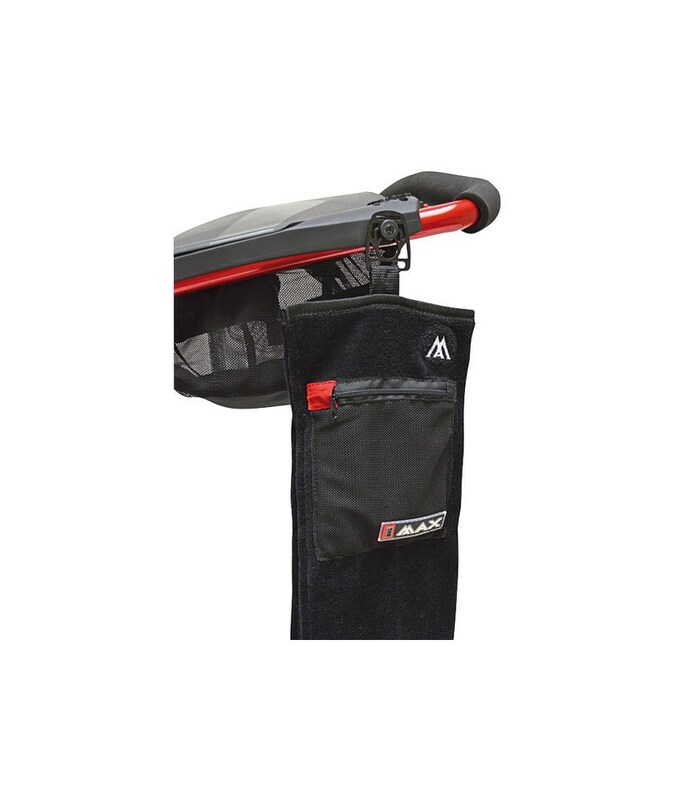 Like the pocket to keep things in great idea. 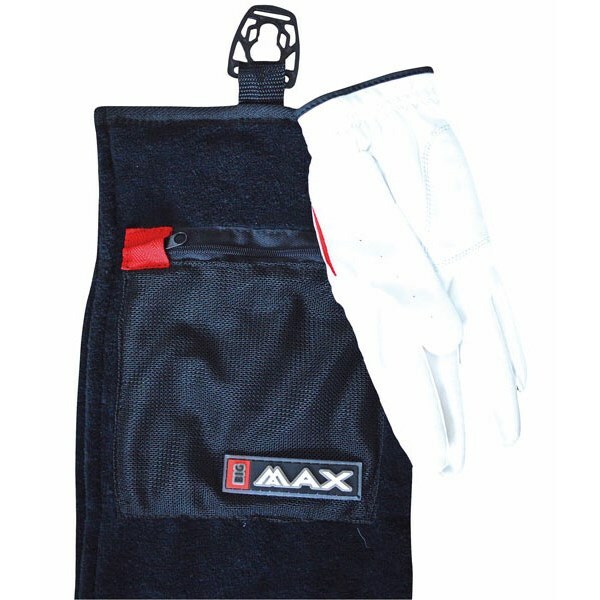 The Big Max Quick Lok Towel is incredibly versatile and a must have should you use a compatible Big Max trolley. 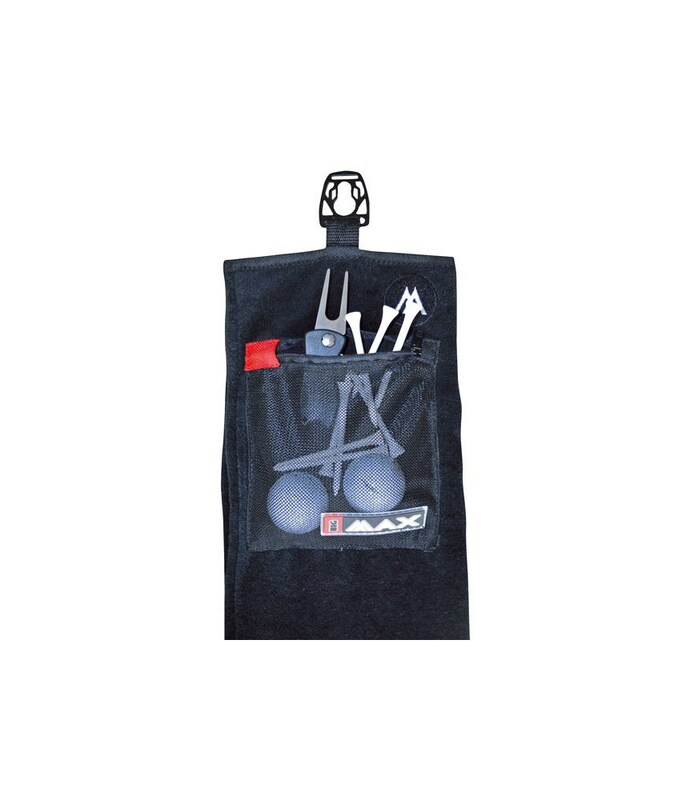 Big Max have designed the towel to attach to the trolley using their Quick Lok technology, the Quick Lok clip is built into the frame of the trolley and is conveniently located. 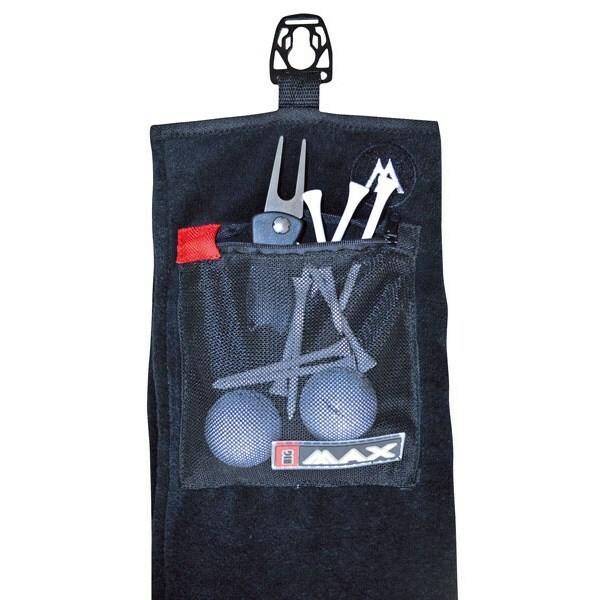 It features a built-in pocket that is ideal to store accessories like a spare ball, tees and a ball marker. 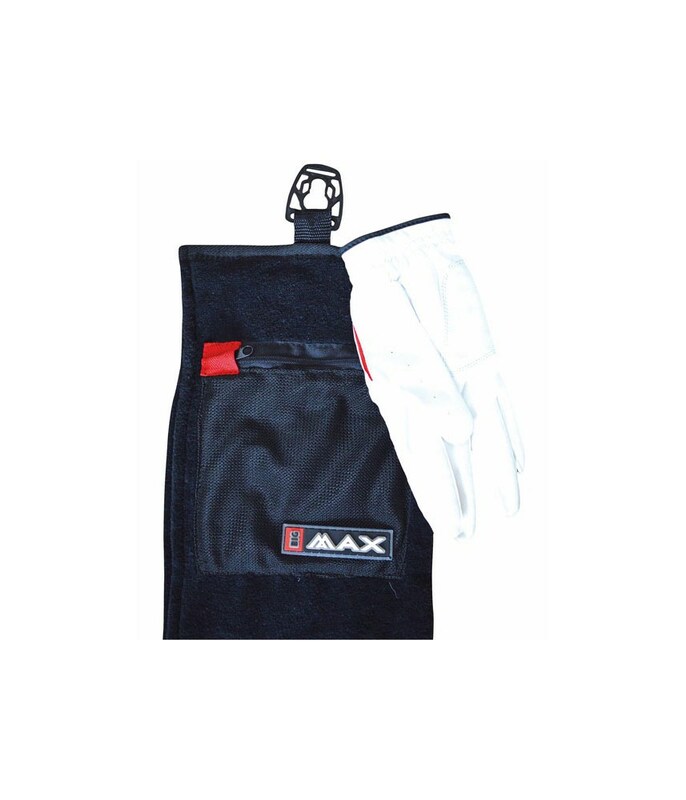 The Big Max Quick Lok Towel is compatible with the following models of Big Max trolleys - Blade, IQ , Z360, Autofold , Autofold FF.